​AUGUST 2017 - No classes or workshops in August. Happy summering! ​"Intensively Amazing! For Absolute Beginner Through Intermediate(+) Dancers." ​Instructors: Ken Kreshtool & Paula Wilson. 6 weeks for amazing mastery and in-depth learning! The very best WCS class anywhere. ​See very complete 101+201 class description below – scroll down! • Registration is now closed. In this Level 202+301 "Special Topics" class, we'll focus on different Technique upgrades each week. We will include at least 1 full session on "structural musicality," that is, how to adjust our dancing to better fit the structure of the songs. We will also tackle other new material that is different from previous classes. This class will go into deeper, more advanced technique than usual. • Students in this class may stay for Level 101+201 for FREE!​ Review and master. Our next classes begin Monday, October 23! The very best WCS class anywhere, thanks to our unique "building blocks" approach. This is the fast path to becoming a good dancer really fast. See very complete 101+201 class description below – scroll down! • Registration will open soon. Oct-Nov Level 202+301 class, we'll focus on expanding our vocabulary of moves and patterns and styling, while always focusing on HOW to do it as effortlessly as possible. That is, we'll focus on a new skill or technique and a group of related moves that it enables. Material will be different from previous classes. • Students in this class may stay for Level 101+201 for FREE!​ Review and practice and master. • Prerequisite: For Ken and Paula's 101 alumni only. No exceptions, thank you. We are available for Private Lessons ($75/hr for one instructor, $130/hr for both instructors, + room rental fees, typically about $15-45/hr). We are also available for semi-private and small-group lessons, as well as corporate and private events. Contact us here. "INTENSIVELY AMAZING! FOR ABSOLUTE BEGINNER THROUGH INTERMEDIATE+ DANCERS." ​ *Alumni may repeat for $105 … or register for 202+301 which includes staying for 101+201 for FREE! For Absolute Beginner through Intermediate(+). • People who have other partner-dance experience and want to learn WCS really fast, without having to plow through a standard WCS Beginner class. 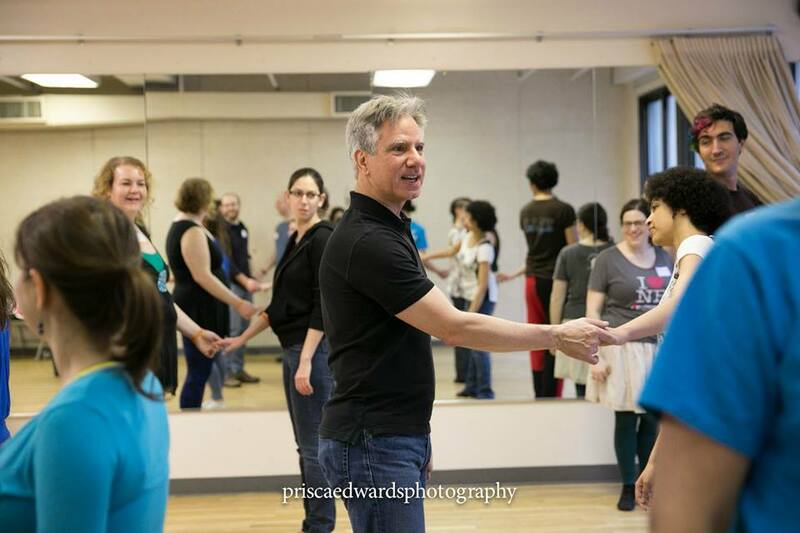 • People who have taken some WCS classes and want a more technique-focused approach that ties everything together and helps you dance beautifully on the actual social dance floor. We will learn and rapidly improve our WCS by focusing on how really good WCS dancers actually dance. Is there a secret that makes WCS easy, and makes WCS's huge vocabulary of amazing moves and patterns easy to learn? Yes! We will focus on the 6 primary and 4 secondary partnered-movement building blocks of WCS. Snap these together, and we can magically dance all Basic, Intermediate, and most Advanced WCS moves & patterns with the same ease as Advanced dancers. • ​Our teaching is quite different from conventional WCS classes, and therefore offers an excellent acceleration for all WCS dancers. SATISFACTION GUARANTEED.​ 100% refund available any time before the 2nd lesson, no questions asked. So you can be sure our teaching style suits your learning style. Risk free! • Absolute Beginners very welcome! You will learn WCS effortlessly, and will be genuinely good by the end of class. You will not feel lost at all. • AdvBeginner and Intermediate+ WCS dancers very welcome! You will be amazed at how different our teaching approach is, how well it complements your existing knowledge without repeating it, and how fast you jump upward in skill. Think of this class as an in-depth exploration of "technique" that your other teachers have touched on. You'll learn how a small number of "advanced" technique ideas (they are usually reserved for advanced dancers, but we think that's silly) make every move and pattern in WCS much easier. Learn them here, apply them everywhere, in all patterns. ~ Partner Dance background? YES! Ken and Paula have separately taught Lindy, Salsa, Argentine Tango, and Ballroom dance, and love Zouk, Blues, Fusion, Contra, Forró, and a ton of others. So we can almost always say to you, "Ah, this thing is exactly the same! But this other thing is different, so let's focus on what's different about it and how to make it work beautifully in WCS!" ~ Classical / Performance / Ethnic / Theater dance background? YES! Paula is a graduate of the Alvin Ailey School's Professional Division. She understands. Like, she really understands. ​ARE THESE NEW YORK CITY'S BEST WEST COAST SWING GROUP CLASSES? We are extremely reluctant. We want you (and all your partners in class) to be happy! Not frustrated! Our class is intensively cumulative, which is how we learn so much so quickly and easily. We lay nearly all the groundwork in the first class. Please come to the first lesson! Thanks for understanding. • Start at 2nd lesson? Probably not. If you absolutely cannot attend the 1st lesson, contact us about starting at the 2nd lesson. However, note that — just like when going to the movies — there's no discount for starting late. Also note that we cover so much fundamental stuff in the first lesson, which we build on in all subsequent lessons, that we have never had anyone catch up after missing the first lesson. If you absolutely must miss the 1st lesson, and absolutely cannot wait until our next full session, you are welcome to schedule a private lesson with one of us before the second lesson. • ​Start at 3rd lesson? No, sorry. We cover so much ground in the first two lessons, that we have never had anyone successfully start during lesson 3. So we ask you to wait until our next class series starts. Thanks!